You wanted a maritime start-up, a forerunner taking advantage of the digitalisation of the maritime industry and I present Constantine Komodromos, Co-Founder & CEO, Vesselbot. 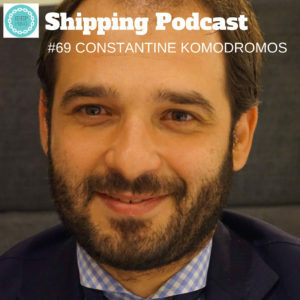 Listen to Constantine, who is NOT a mariner, and how he wants to develop and streamline the relationship between the charterer and the shipowner and what he thinks about the future of the shipping industry. This is an episode you don’t want to misds,e sepecially since we made it so many times before it finally is presentable to you. Listen and give a shout out to Constantine or me, we both love feedback! Go to the Patreon page and give some love & support! That would be very much appreciated!